Ian Fleming’s beloved original text — illustrated by Joe Berger! Ian Fleming’s treasured classic soars in a deluxe edition featuring John Burningham’s vibrant, full-color original illustrations. 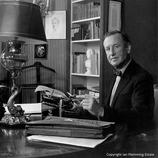 Ian Fleming’s beloved original text — newly illustrated by Joe Berger!